Sometimes, like with our Root Beer Float Cocktail or our Homemade Eggnog Cocktail, you want something fun and nostalgic when you’re indulging in cocktails with friends. This Hot Chocolate Cocktail is the perfect winter cocktail for cozying up with friends or loved ones on a cold winter’s night. 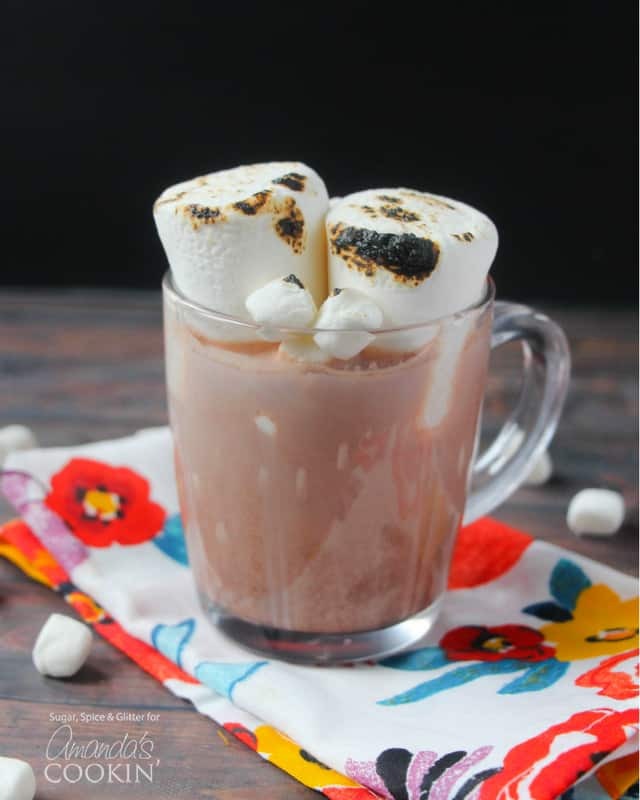 This Hot Chocolate Cocktail uses whipped vanilla vodka and chocolate liqueur to make a delicious and toasty treat – other alcohols can curdle milk which would not be ideal, so I encourage you to stick to our recipe or only substitute with other whiskeys or vodkas for best results. It is also important to add the alcohol to the milk and not the milk to the alcohol – I know, it sounds silly but it’s actually a fundamental chemistry concept of how acids react with water. You can however make this Hot Chocolate Cocktail without milk… but that’s too much of a compromise for me! 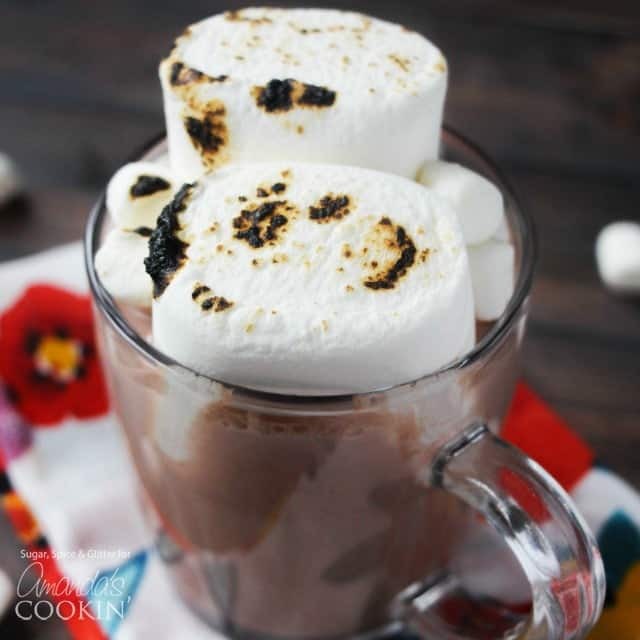 This hot chocolate cocktail is an easy and delicious treat to add to your recipe collection. Who would you enjoy this cozy winter cocktail with? You might also like this Blended Frostbite Martini and this Salted Caramel Coffee Cocktail. If you’re just looking for a different twist on hot chocolate, try this recipe for Champurrado (Mexican hot chocolate). Place the milk in a heat-proof mug and microwave for 45 seconds. Whisk or stir in the hot chocolate powder until completely dissolved. Pour in the vodka and chocolate liqueur and stir quickly. Garnish with marshmallows and use the crème brûlée torch or lighter to char the marshmallows.